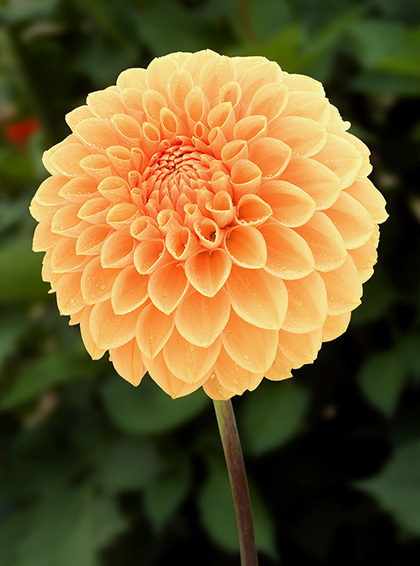 Iridescent orange with a slight reddish tint at the base of the petals. Very sturdy plants support large flower load. Bloom substance and stem strength make this a great cut flower candidate.